I marvel at the way you come across these hidden treasures in an area as big as Metro Manila. Kudos to Dave especially on the first picture...those droplets are pefectly proportioned! Mmm...this is also one of my favorite Chinese dishes. I'll never forget the hao shao mian I had a few years ago while wandering around Beijing's hutongs. A man was outside a tiny hole-in-the-wall, expertly shaving noodles into a huge metal vat of boiling water. He urged us to go in and eat, and so we pulled up stools next to "lao bai xing" who were obviously perplexed at the two 20-somethings with toting cameras. I was shocked that noodles so delicious was only 3 yuan. Flash forward to the present...hutongs are disappearing and I can't even find that place anymore. How I wish u had posted this 2 years ago! 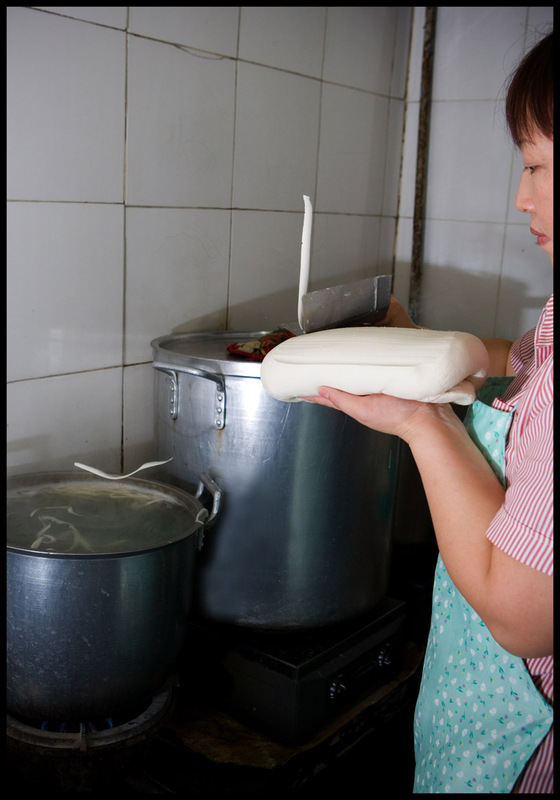 I saw a woman in a restaurant in Xian who was standing over a huge boiling pot with a knife in her hand, much like in your pics. The window was very fogged up and I had no idea what she was doing. How I regret I didn't venture in! Hi Renato - we're generally pretty good at sniffing out northern Chinese food, no matter where we go, bec. it's a cuisine we love and can never get enough of! Appetite - yes, what is it about this dish? It's the first street food I ever ate in China, back in Sichuan in the mid-80s. Served out of what looked like a garage, lots of thick, chewy noodles and minimal meat yet the broth was so rich, and floating pea tendrils instead of bok choy (also my first taste of pea greens). And plenty of la jiao. 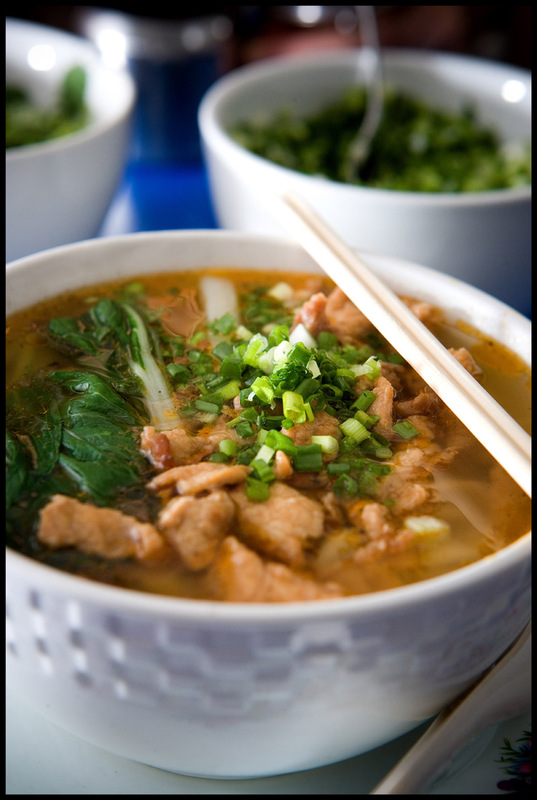 Bowls and bowls of dao shao mian got me through that cold, wet winter. And shui jiao served by the jin the likes of which I have never had since, half the size of my fist, garlic-green pungent and eaten with raw garlic cloves and dipped into straight la jiao, no soy or vinegar. Chris - I think there is a lesson there. If you don't know what it is but it looks intriguing, give it a try. 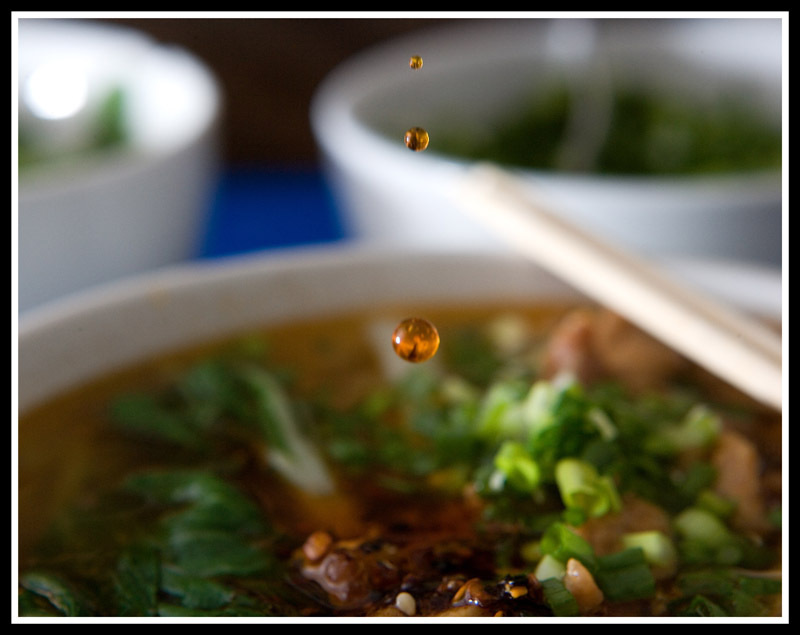 I bet dao shao mian in Xian are spectacular! Wow! LOVE, love, love the pictures, and am so hungry! I love me some yummy dao xiao mian! 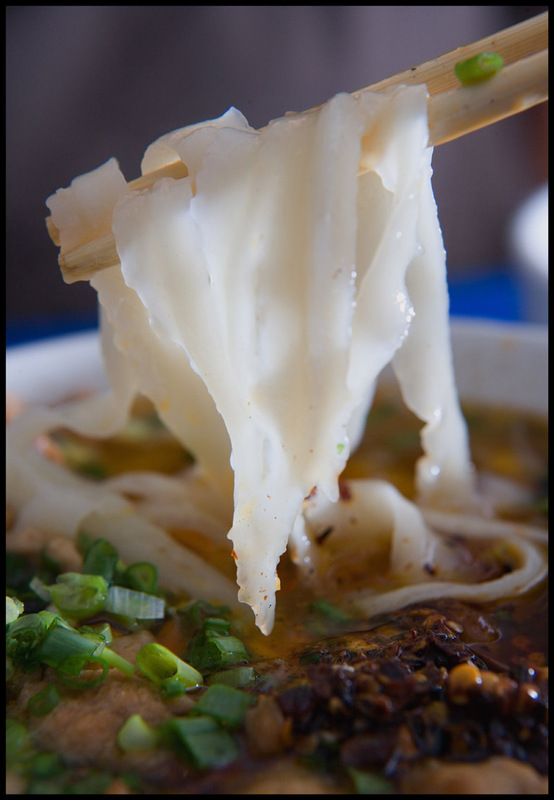 I'd kill for some daoshao mian. Or Lanzhou lamian. Yum! Wow. Excellent post. You made me so hungry! Holy cow! 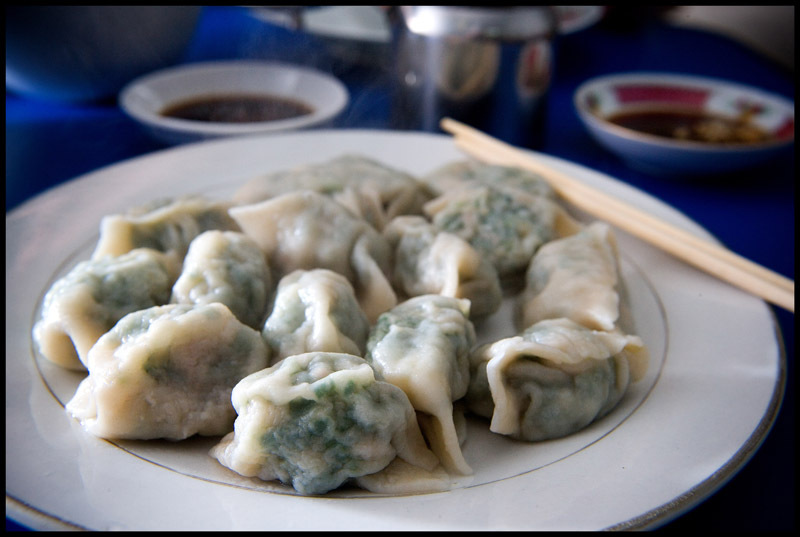 It's been 10 years since I lived in China, but I do get to go there every other year; la mian and jiaozi are burnt in my food memory banks and I miss them terribly. 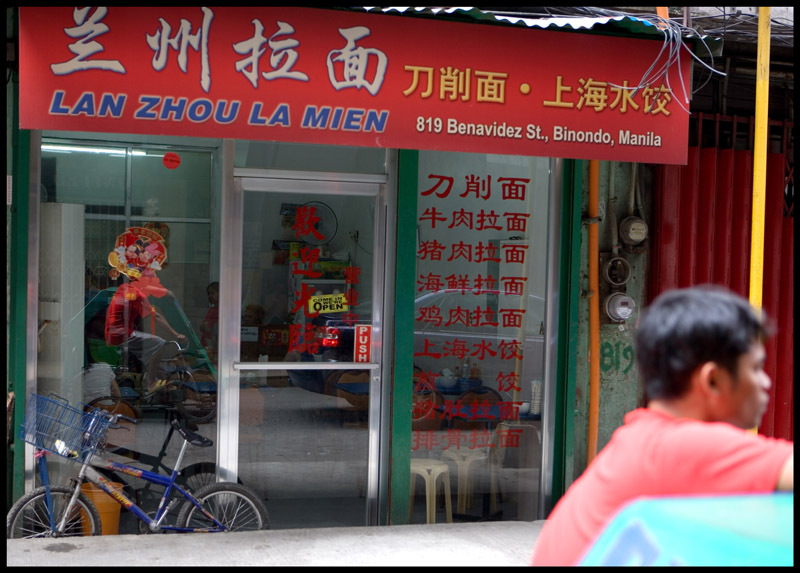 I've found decent jiaozi in Binondo, but never thought I'd find a good lamian place!!! Thanks Robyn and Dave (love those oil drops, a hint of the subtle heat in that oil). I'm going to drag me some friends to find this diner. oh wow, when i saw the first picture my first reaction was there is water on my screen! i nearly move to wipe it off! wonderful photography! We've immediately tried eating here after I let my friends view this post of yours. Thanks very much! I am so happy to run across your blog. I've been craving some authentic dao shao mien for a while. 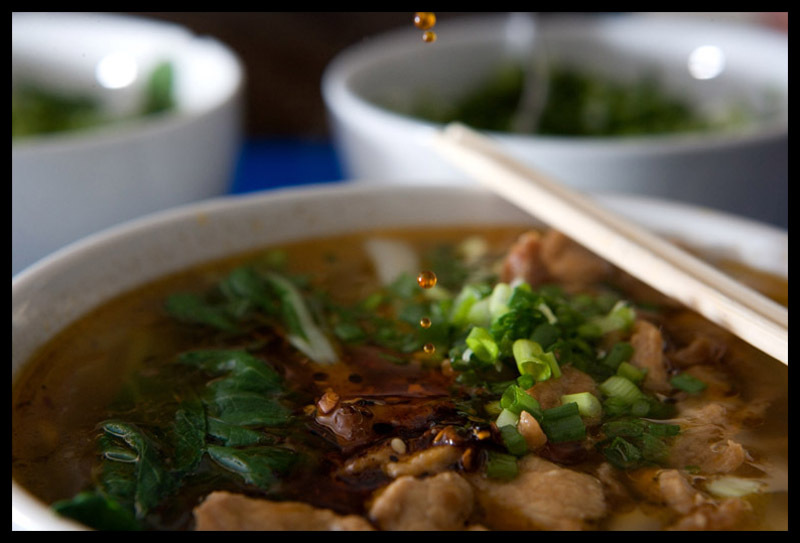 I lived in chengdu, a long time ago and ate dao shao mien at least 3 times a week. Now its hard to find places that make it, and even harder to find places that make it right. Thank you for your post. I'm checking it out this weekend.